www.Terrorizer.com - View topic - Best Bathory album? I never thought I'd see the day wehre I agreed with a Blacklorre top 3, but here we have it. Replace The Return with Under The Sign of The Black Mark and you have my top 4. 5 is Black Mark & 6 is S/T. The return for me for Total Destruction! Blood Fire Death followed by the debut, then Under the Sign... then The Return, and then I really can't be arsed. Very difficult decision for me. 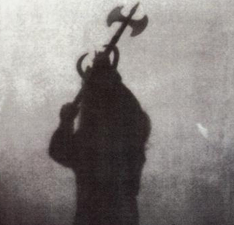 The s/t comes out on top for being what I believe to be the first black metal album. Quorthon's vocal style was pretty much unheard of in 1984 and I think he did a great job with the writing of the s/t. If it weren't for Sign and Hammerheart being such stellar albums, The Return would be in second place for the same reasons.